This cheese originates from the Roman Countryside. and is produced exclusively form ewe''s milk. This cheese, or at least its production method, dates back to the mists of time. Homer mentions it, but Columella describes thoroughly all production stages. Sheep have been a source of development for many Mediterranean civilizations and cheese was a source of wealth for many farmers. During Summer, sheep were slowly moved from the Roman Countryside to the Abruzzo mountains to escape heat and returned to the plain during Autumn. In the past, local sheep breeds were reared and crossed with Merino sheep to created the Sopravissana breed characterised by high quality wool and milk. At the beginning of the 19th century, a group of Roman entrepeneurs moved to Sardinia and started production there. After World War II, the Sopravissana breed was replaced by the Sardinian one because of its higher milk yield. Currently, over 90% of this cheese is produced in Sardinia. 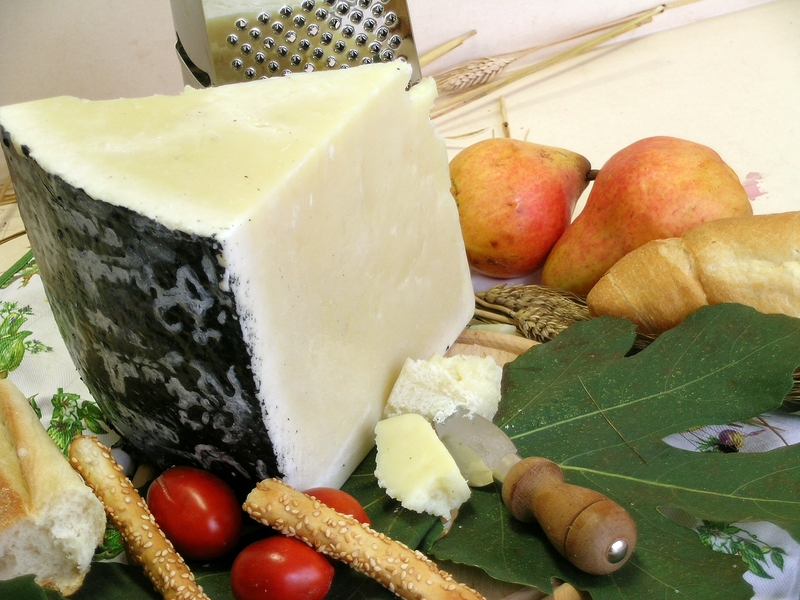 The Pecorino Romano has obtained the Protected Designation of Origin in 1996 (Regulation (EC) n. 1107/96).